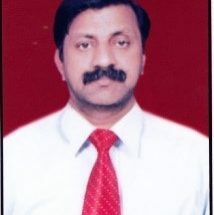 Dr. Harish obtained his M.Sc. (Physics) from Karnataka University, Dharwad, M.Tech. (Solid State Tech) from IIT Madras, Chennai and Ph.D. (Physics) from University of Madras. Later he underwent a one-year orientation post-graduate training in Nuclear Science and Engineering at the Bhabha Atomic Research Centre, Mumbai; then joined Indira Gandhi Centre for Atomic Research Centre, Department of Atomic Energy, Kalpakkam as Scientific Officer, where he worked as a reactor physicist specializing in nuclear core safety. He was also a faculty member of the post-graduate training school of DAE, and visiting fellow at Forschungszentrum Julich, Germany. He was also a worked as Deputy General Manager, Tata Consulting Engineers co-ordinating large projects and has also worked on research and development areas related to fossil-fired power plants and renewable energy. He was a member of a team of international consultants appointed by the International Atomic Energy Agency, Vienna, Austria to analyze core safety aspects of the Russian BN800 reactor.